The man responsible for managing advertising for Procter & Gamble, one of the the worlds largest consumer products companies, has said that ‘Age’ will be next on the agenda for advertisers to address as the industry moves to unpick the stereotypes it has helped perpetuate. Pritchard was talking more broadly on the subject of diversity and inclusion. It’s exciting to see signs that ‘age’ (read ageism) is being taken seriously as part of the debate on diversity and inclusion. Hopefully Pritchard’s powerful voice will stir other marketers to take the issue of ageism more seriously. So far, most have failed miserably. Even P&G has tried and failed at this before. Remember Crest and Oral‐B Pro‐Health For Life dental products “Selected for Aged 50+ Consumers”? Long gone from the shelves. Hopefully, ageism will now be treated from a holistic approach like other ‘diversity and inclusion’ segments. It would be a pity if this begins and ends with a range of ill-conceived products for older people. We need to see the end of ageist stereotypes in advertising and address rampant ageism in the workplace – for marketers and for their agencies. Pritchards comments provide some reason for hope. Currently, the average age of marketing and agency people (in the UK and Australia) is just 33. Crest and OralB Pro-Health. 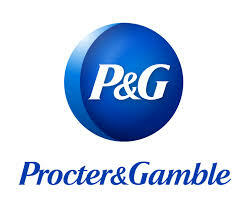 P&G's first attempt to target the 50+ consumer!